THE URBANE MITTE – A NEW CITY QUARTER IN THE HEART OF BERLIN. The Urbane Mitte fills one of Berlin’s last big gaps in the centre of the city. It links the Mitte, Schöneberg and Kreuzberg districts and forms a connecting bridge between the Park am Greisdreieck and the city. In doing so, the quarter combines old and new. A new part of the city is emerging from the fusion of listed train station and modern, forward-looking architecture. Its aim is to forge new links, bring people together and initiate new ideas. 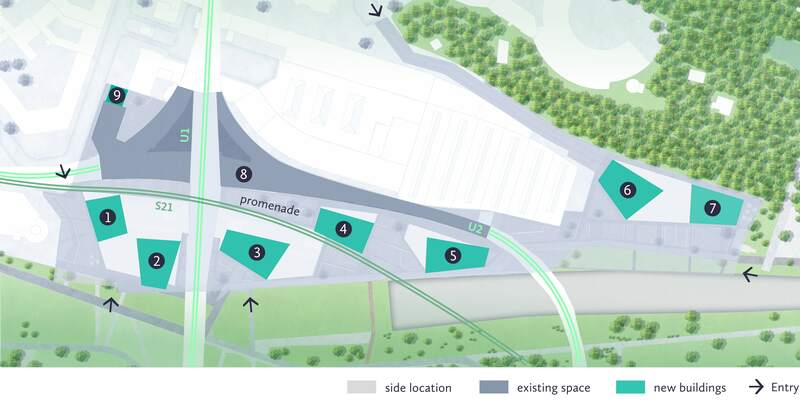 By 2025, it is the intention of project developer COPRO to use this considerately designed urban development to create a quarter that offers neighbours, park visitors, businesses and their future employees a meaningful and inspiring environment in a healthy city setting. The different facets of the quarter: a mixture of offices, industry, bars and restaurants, retail, crafts and regional products, hotels, art and culture will define the character of the Urbane Mitte in future. It is a place of connections, transfers and mobility. The Urbane Mitte am Gleisdreieck site is one of several development areas around Gleisdreieck railway station. They are all contributing to the redevelopment of this site – a new part of the city is being built. Some of them have already been completed in recent years; others are currently in the planning stage or being built. 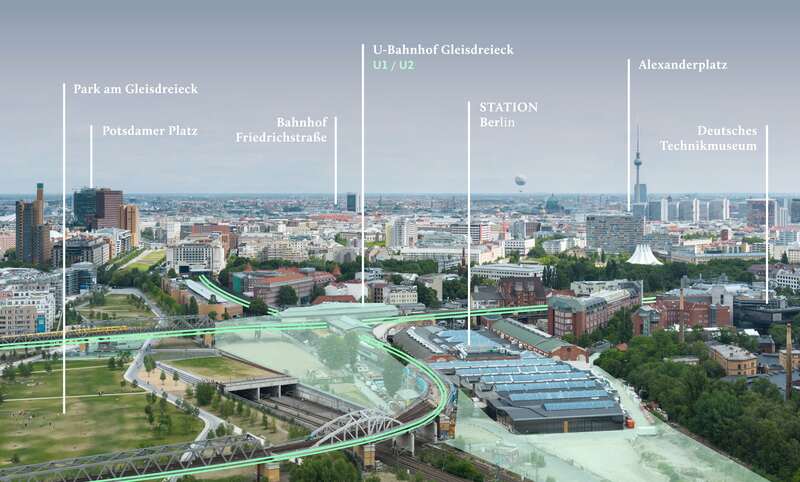 The Urbane Mitte project began in 2014 with a workshop process – voluntarily involving the public and experts at an early stage with the aim of achieving a broad consensus. The outcome of the process formed the basis for the subsequent international urban development competition. In turn, the winning design by Ortner & Ortner Baukunst laid the foundations for the land use planning process, which is currently ongoing. 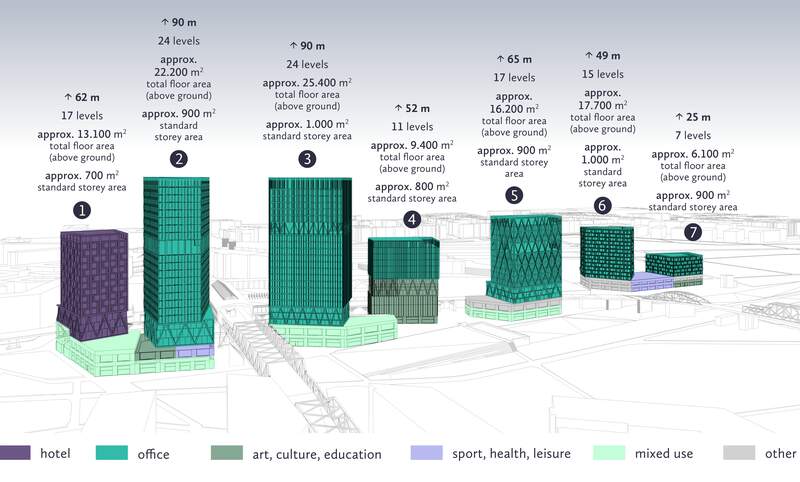 The development of the Urbane Mitte Berlin is being overseen by COPRO Projektentwicklung GmbH. The owner-managed company specialises in the renovation of residential and commercial properties and monuments and the management of complex land developments. The aim of these projects is to win admirers through their design-based vision and careful, resource-friendly approach to the developments.